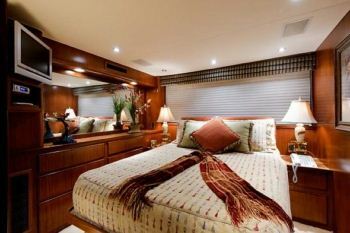 Motor Yacht BAMA BREEZE was built by Hatteras in 1990 and refitted in 2004, she measures 24.3m (80ft) in length and can accommodate up to 8 guests. 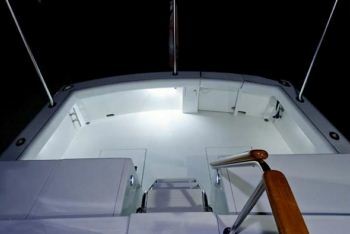 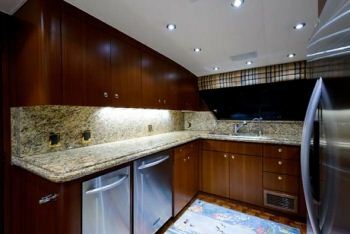 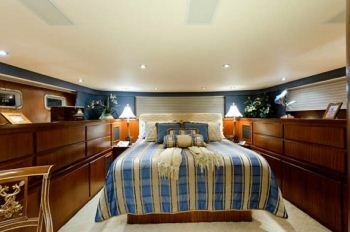 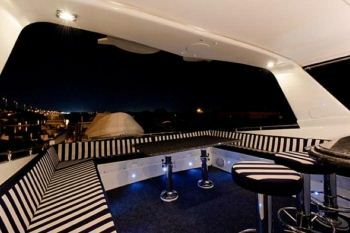 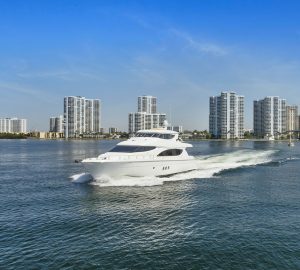 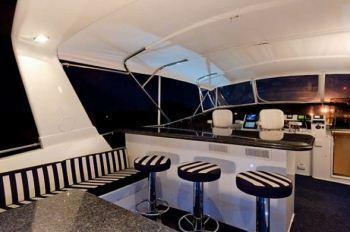 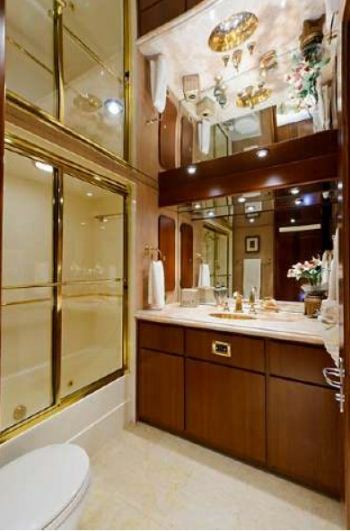 M/Y BAMA BREEZE is based in Florida and charters in both Florida and the Bahamas. 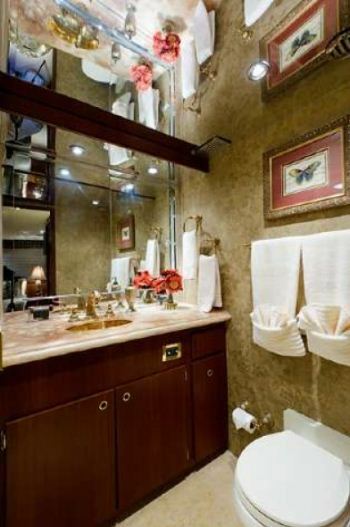 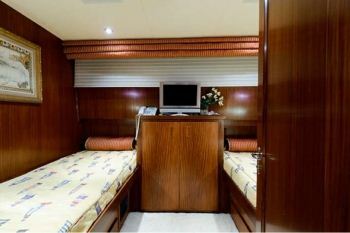 BAMA BREEZE has a comfortable traditional style interior with fine woods and neutral soft furnishings. 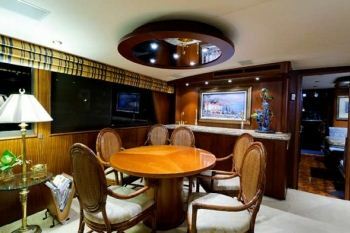 A formal dining table is forward of the salon in an open plan setting. 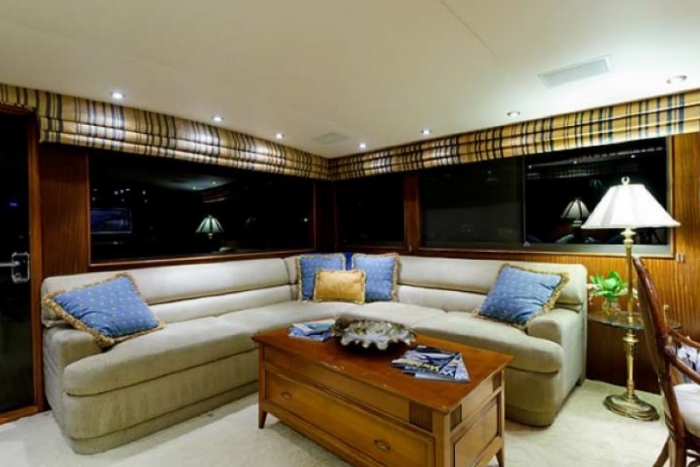 The entire space is wrapped in large windows allowing for ample natural light. 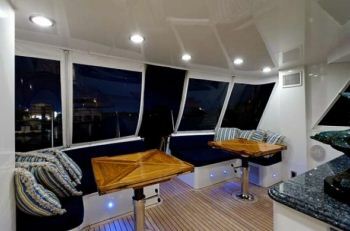 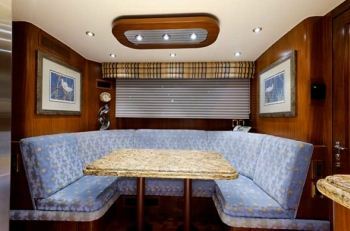 On deck charter yacht BAMA BREEZE offers spacious outdoor living, the aft deck is spacious and features custom fiberglass bench seating and an alfresco dining option, sink and fridge, the space has EZ enclosure for added comfort. 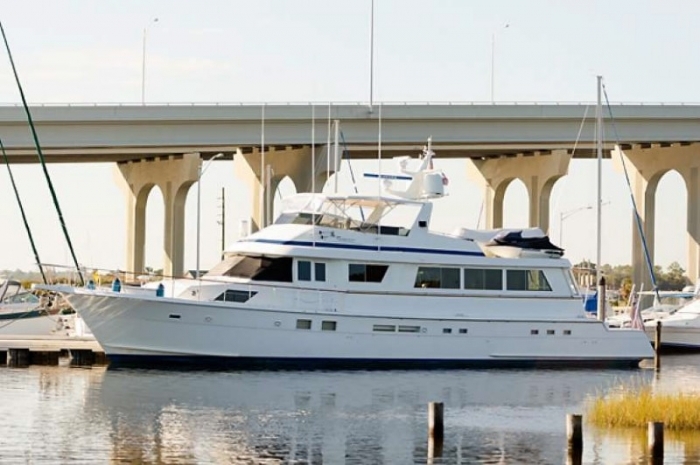 Above the main deck the fly bridge provides a social focal point with custom Black Diamond Granite bar top and stainless steel mounted bar seats, an alfresco dining option, BBQ, refrigerator & icemaker, the space is complete with EZ enclosures if required. 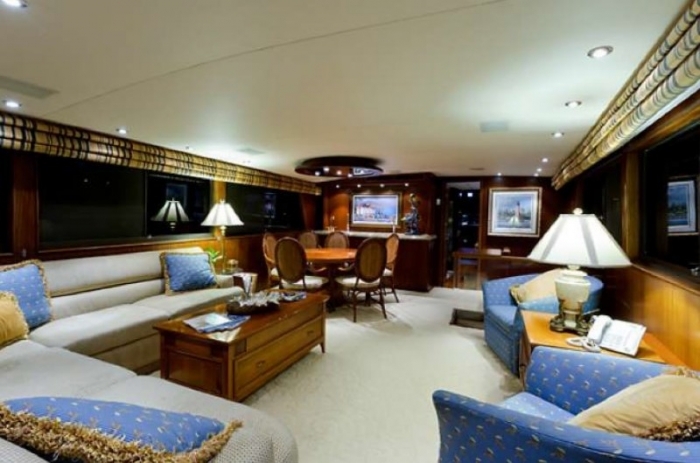 Charter yacht BAMA BREEZE has a beam of 5.7 meters (18.6ft) and draws 1.7 meters (5.6ft) and comfortably cruises at 15 knots with a maximum speed of 20 knots. 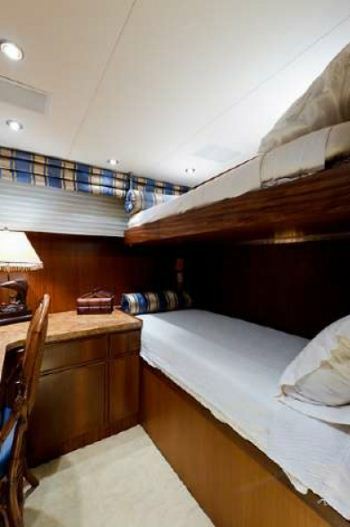 M/Y BAMA BREEZE is well equipped for charter offering great indoor and outdoor entertainment options including a 31’ towed tender, 14’ Novurania w/50hp Honda engine, 1 x 2 person Jet Ski, Snorkel Gear, Towable Toys, Large Inflatable Island, Assorted Fishing Equipment, BBQ Grill, Underwater lights and Camera to Televisions, Satellite Television and Internet.